Home » Uncategorized » We’ve Moved! Many of you have already had the chance to visit our new location at 240 Curry Hollow Road, but for those who have been away for the summer, we want to offer you a peak at the new place. Though our former location will always be dear to us, we’re happy for the opportunity to better serve our students and customers with ample parking, two floors of studio space, a new waiting area, a spacious front office, and even room to grow! We even have a little storage space to help us stay better stocked on the items needed to maintain your instruments, books to help you practice, and even instruments for when you’re ready to upgrade. Large windows with natural light and more space for studios means a more relaxed training atmosphere. 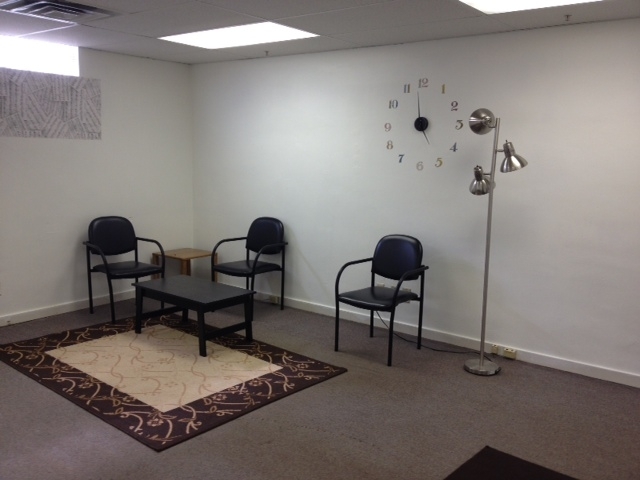 We even have a spacious new waiting area for those times you’d like to arrive early or hang around after your lesson. We’ll be sure to post more to Facebook and Twitter as we get settled. Be sure to follow us (you can find the buttons at the very top right side of this page)! Leave a comment below to let us know what you think and what you hope to see at our new location to better serve you. By accentmusicjackie in Uncategorized on July 17, 2013 .